A three-year escalator project will begin at the Woodley Park station on the Red Line next week. 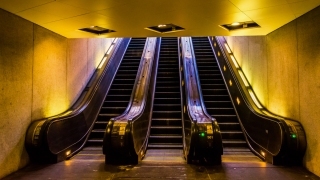 Metro will begin the major project to install six new escalators at the station Monday. The project is expected to be completed in 2018. Two escalators will be shut down at any given time. The Woodley Park escalators are the third longest in the system and went into service in 1981. Metro hopes to replace more than 130 of the system's oldest escalators over the next several years to improve reliability. They have already installed new escalators at Dupont Circle and are currently replacing them at the Bethesda station.